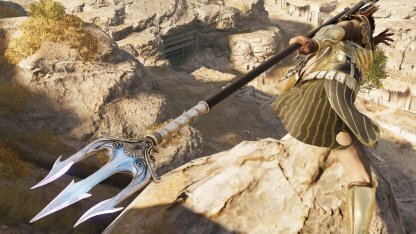 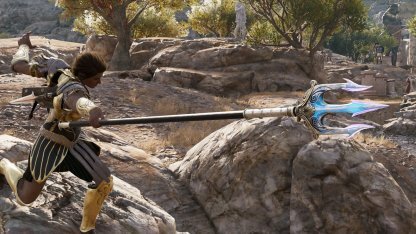 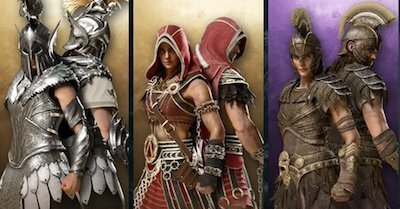 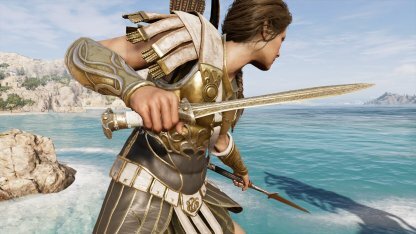 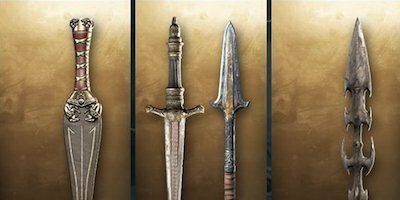 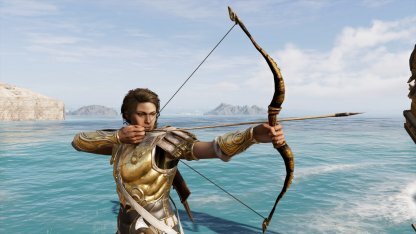 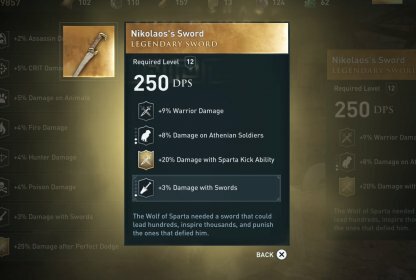 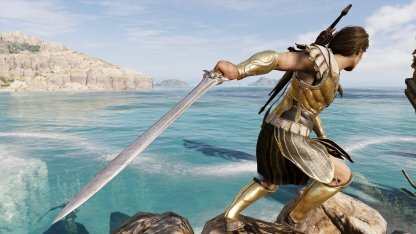 Check out the stats & how to get the Legendary weapon - Poseidon's Trident for Assassin's Creed Odyssey! 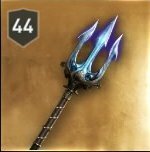 Unique Perk - "Breathe Underwater"
Equipping this weapon will allows player to breathe underwater for an indefinite time. 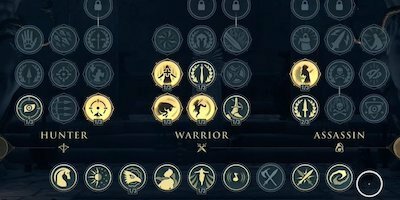 Although not beneficial in combat, this perk will prove invaluable when hunting for treasure underwater. 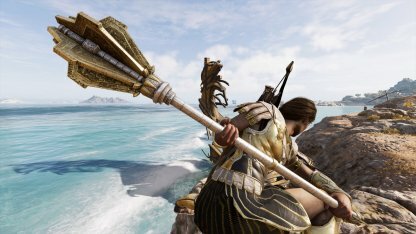 Poseidon's Trident is a powerful weapon worthy of a god's name; providing high Warrior and Critical Damage boost, making them a versatile choice of weapon to use in any combat. 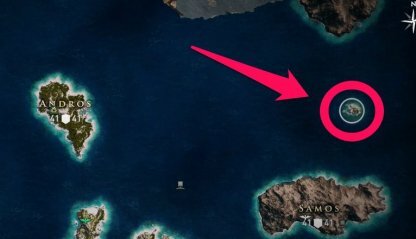 Poseidon's Trident can be acquired on a small unnamed island at the east edge of the map; to the north of Samos. 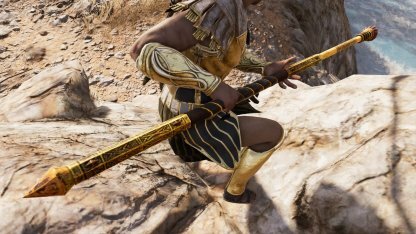 The spear is in a decorated chest in the center of the temple. 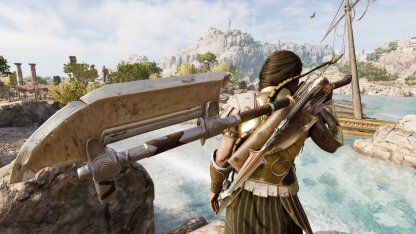 Be careful, as this area is inhabited by packs of ferocious lions.